Plants display a wide array of physiological adaptations to low soil phosphorus availability. Here we discuss metabolic and ecological costs associated with these strategies, focusing on the carbon costs of root traits related to phosphorus acquisition in crop plants. We propose that such costs are an important component of adaptation to low phosphorus soils. In common bean, genotypes with superior low phosphorus adaptation express traits that reduce the respiratory burden of root growth, including greater allocation to metabolically inexpensive root classes, such as adventitious roots, and greater formation of cortical aerenchyma, which reduces specific root respiration. Root hair formation increases phosphorus acquisition at minimal carbon cost, but may have other unknown ecological costs. Mycorrhizas and root exudates enhance phosphorus acquisition in some taxa, but at significant carbon cost. 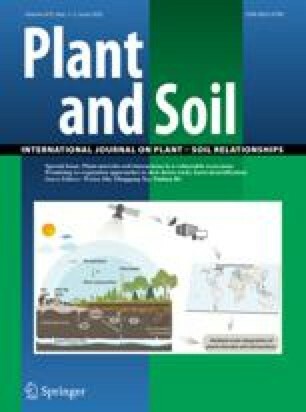 Root architectural patterns that enhance topsoil foraging enhance phosphorus acquisition but appear to incur tradeoffs for water acquisition and spatial competition. A better understanding of the metabolic and ecological costs associated with phosphorus acquisition strategies is needed for an intelligent deployment of such traits in crop improvement programs.